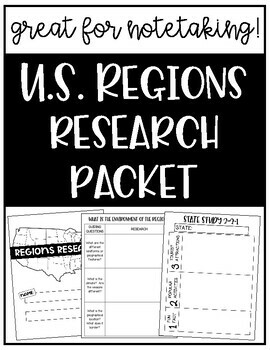 This packet is a great resource for students researching some specific aspects of the United States Regions! 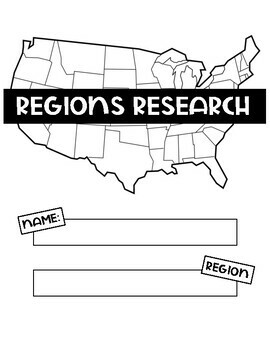 My students were researching in order to write an essay about how the environment of the region can have an impact on that region's culture and economy. 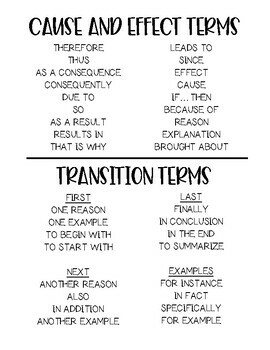 The notes are set up with guiding questions to help students find information that will help them in the writing process.